Could Fracking Industry Debt Trigger a Financial Crisis? Could Fracking Debt Set off Big Financial Tremors? Author Bethany McLean and Jyoti Thottam, business and economics opinion editor for The New York Times, discuss the risk of a financial crisis arising from the fracking industry's high debt load. Mystery and high stakes often go together, as is the case with fracking — the process of using high pressure to extract oil and gas from shale rocks buried deep under the earth’s surface. Fracking companies are hot destinations for investors chasing yields and growth industries, especially private equity companies, in part because of the large appetite the capital intensive industry has for debt. However, several warning signs suggest the fracking industry not only may fall short of investor expectations, but also could actually help to precipitate the next financial crisis. 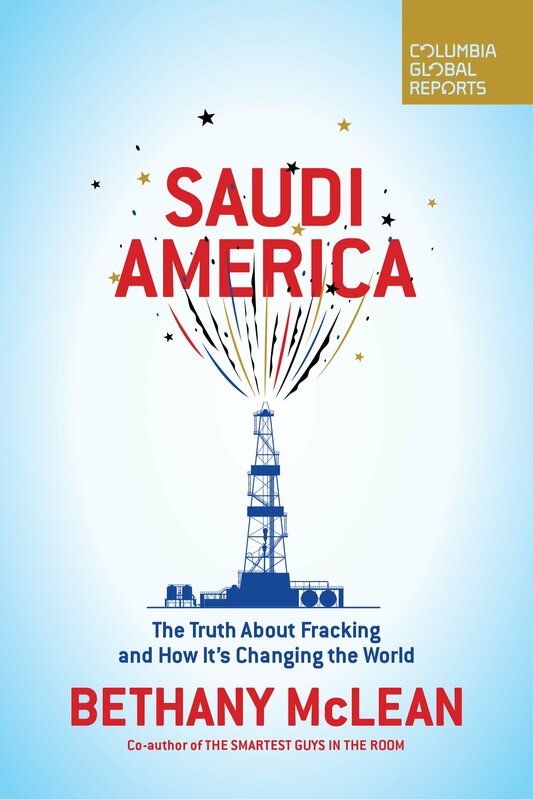 “Fracking is a business built on attracting ever-more gigantic amounts of capital investment, while promises of huge returns have yet to bear out,” says an introduction to McLean’s book. In fact, North American exploration and production companies saw their net debt balloon from $50 billion in 2005 to nearly $200 billion by 2015, according to a recent research paper by Amir Azar, fellow at Columbia University’s Center on Global Energy Policy. While the U.S. fracking industry has its fragilities, it is also resilient in many respects, McLean pointed out. “Fracking is fragile because it’s an industry that’s dependent on the price of a barrel of oil.” And that price has fallen from about $100 to $70. The U.S. fracking industry is also vulnerable to the actions of other global oil producers. 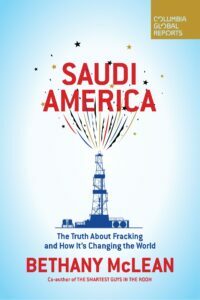 For example, Saudi Arabia increased oil production in 2014 and caused prices to fall to levels that would be nonviable for shale oil producers. “Many people saw this as an attempt to kill U.S. fracking companies by pushing the price of a barrel of oil so low that their already nonexistent profits would become even worse,” McLean said. The impact of that price fall was severe over the past four years. “About 150 U.S. fracking companies went bust, and production skidded by a million barrels [a day] over a span of time,” McLean noted. That latter figure is significant, considering that the industry is approaching a production level of about 7.5 million barrels per day, according to a report citing the U.S. Energy Information Administration. The law firm Haynes and Boone tracked 167 bankruptcies in the industry since 2015. McLean talked also of two extreme scenarios of winners and losers that divide the bulls and bears in the fracking industry. At one end is Aubrey McClendon, who was CEO of the Oklahoma City-based Chesapeake Energy, once an industry trailblazer. He died in 2016 in a car crash, a day after a federal court indicted him over accusations that he rigged bids for oil and natural gas leases. McClendon found himself on the defensive even when Chesapeake was profitable. “Just when we need large-scale players to step up and invest in the kind of project to create the energy the world needs, it becomes a crime to make money in the industry,” McClendon said at a Wharton Economic Summit panel discussion in New York City in 2006. Chesapeake closed that year with net income of $1.19 billion on revenues of $7.3 billion. But excessive debt proved to be Chesapeake’s undoing. “Vulture funds descended, buying the debt for less than 50 cents on the dollar…,” McLean noted in her New York Times op-ed article. At the other end of the spectrum is EOG Resources of Houston, Tex., “known as the Apple of shale,” said McLean. EOG was spun off from Enron back before that company’s infamous bankruptcy, but is seen as a winner in the shale/natural gas industry. “Since weathering the oil bust, EOG has focused on so-called premium wells, which earn a minimum of 30% profit returns after taxes even with oil prices at $40 a barrel,” according to a recent Houston Chronicle report. Although the magnitude of the fraud at Enron was hidden in the years before the scandal broke, “you could see that there were problems on the surface,” said McLean. “You can see that in this case, too – the fact that the industry doesn’t make money, and doesn’t produce free cash flow, is obvious to anybody who looks at financial statements.” For example, just five of the top 20 fracking companies generated more cash than they spent the first quarter of 2013, McLean wrote in her New York Times op-ed, citing a Wall Street Journal article of May 2018. Using hydraulic fracturing to release natural gas and oil has obvious economic advantages. But scientists still do not have a grip on all of the potential negative effects on environmental health and safety, say Wharton seminar participants. What Are the Economic Benefits of the Shale Oil Boom? The fracking boom in the U.S. is a boon for drivers and other consumers, cutting prices for gasoline, heating oil and other oil-based products. But what has it done for investors?